© Charles Krupa/AP Rudy Giuliani, an attorney for President Trump. Rudolph W. Giuliani, President Trump’s lead lawyer for the ongoing Russia probe, said Wednesday that he is still awaiting a response from special counsel Robert S. Mueller III to the Trump team’s latest terms for a presidential interview, which were made last week in a letter that argued against Trump’s having to answer questions about his possible obstruction of justice. White House officials have privately said Flood has cautioned Trump and others about the unpredictability of a subpoenafight that could be decided by the Supreme Court. Such a case would be unprecedented. Independent counsel Kenneth W. Starr served President Bill Clinton with a subpoena to compel him to appear before a grand jury, but it was withdrawn after Clinton agreed to testify. Mueller, who is heading the federal probe of Russian interference in the 2016 presidential campaign and of Trump’s conduct, has sought a presidential interview for months. The president’s lawyers and Mueller have not reached an agreement. A letter from Trump’s lawyers sent to Mueller on Aug. 8 significantly lessened the possibility of a voluntary presidential interview, according to two people familiar with the discussions. The multipage response represents what Trump’s lawyers expect to be their last word on Mueller’s request, according to the people, who spoke on the condition of anonymity because of the sensitive nature of the negotiations. On a radio program last week, Giuliani and Trump lawyer Jay Sekulow did not elaborate on their rejection of Mueller’s interview terms but said the special counsel should finish his probe soon. 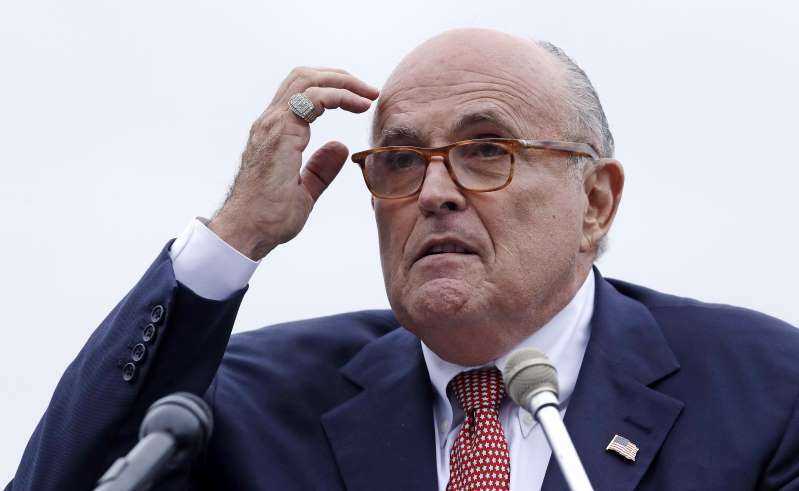 Giuliani acknowledged Wednesday that the stalled talks probably frustrate federal investigators who are seeking to wrap up a report for the part of the probe that deals with Trump and possible obstruction of justice. “There is always the chance that if they get fed up with our conditions, they just file their report as is,” Giuliani said. “We’re preparing a report to respond to that, should that be filed,” along with the response to a subpoena. Mueller told Trump’s lawyers in March that he could issue a subpoena for Trump to appear before a grand jury if Trump declined an interview, according to four people familiar with the encounter. Giuliani said the Trump legal team, which briefed Trump last week, is mapping out a subpoena battle that could stretch on for months. “Even if we responded in 10 days to a subpoena, it would have to be decided by a district court judge, and you could appeal it in a circuit court, and then you argue it before the Supreme Court, if it ever got there,” he said. But for now, Giuliani and the president wait — and keep close watch on the federal trial of Trump’s former campaign chairman Paul Manafort, who faces 18 charges of bank fraud and lying to the IRS that could send him to prison for the rest of his life.